MASTER PROBLEMS People and Society Do you respect public or others property? Do you respect public or others property? Would you throw your trash into your beautiful yard? Would you clutter up your flower bed with empty beer cans? Would you litter your nice green lawn with used tissue, disposable baby diapers, old newspapers and paper bags? Would you chuck rocks in your fish pond? It is most unlikely that you would." You doubtless have respect for your own property and would definitely object to such behavior occurring in your lovely home. But what about when it comes to public or other peoples property, do you share the same sentiments? Sadly, for many of us this is not the case. 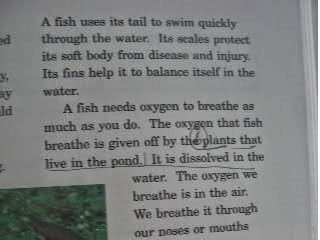 Let us illustrate why this is the case. 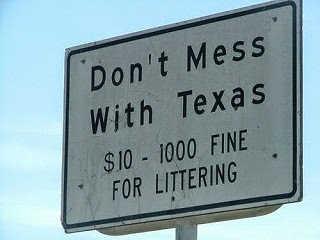 Since you respect your property you would not think of littering it with junk. Do you have the same respect for public highways? It is surprising the number of people that are careful with trash at home, but carelessly throw it out the window of their car when on the highway, heedless to the trashy appearance it gives to the highway and adjoining properties. This complete disrespect for public property by motorist has forced some states to impose heavy fines for offenders. National parks are places of natural beauty that people will drive thousands of miles to see, yet a number of these people will show complete disrespect for this public property. Sometimes they not only leave a trail of trash through them, but even by scar or destroy things there. In Yellowstone National Park public disrespect has long been a big problem for rangers that care for the the park. 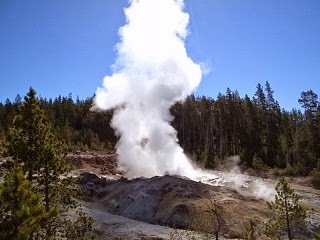 People persist in throwing rubbish into the park’s remarkable geysers and hot pools. 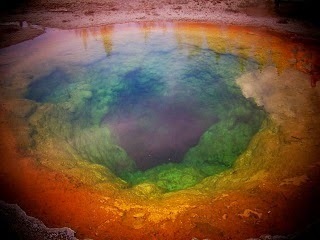 For instance, the Morning Glory Pool was once famed for its crystal-clear waters and delicate coloring. However, people have show so little respect for it that they have throw all sorts of trash into it. Do such people have any regard for natural beauty and preservation of it for others to enjoy? Evidently they do not! What about park rules? Do you heed such signs as “No trespassing,” and “Please Don’t Walk on Grass“? 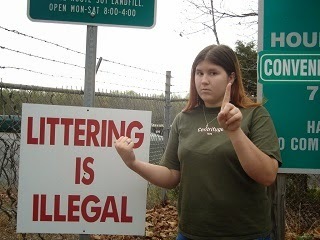 There is the tendency on the part of people who should be mature in their thoughts and actions to justify themselves when the violating of park rules when it serves their immediate interests, such as leaving litter about, or picnicking on the grass where they are not supposed to. But, really, they are either unthinking or with a misguided attitude of self-importance, consider themselves above a particular rule. Never in our history has public vandalism been more prevalent than it is today. Museums and other public intuitions that favor visitors are constant subjects to theft, pilferage and other wanton acts too vulgar to emulate. There also other individuals that seems to take delight in defacing public property. They seem to think they must blaze a trail wherever they go by writing, spraying graffiti, scratching their initials or remarks on public walls. This habit certainly does not show respect for property that is not yours. If you must doodle, then carry a piece of paper with you for that purpose. The property rights of others deserve attention also when you are staying as a guest at a hotel. Are you as careful of the furniture and of the linens as if they were those of your own home? You should be. A manager of one of largest hotels keenly regretted that he could not afford to install quality furnishings, as he would like to, because of the abuse that guests accord such things. The same applies if you are a guest at the home of a friend or relative. Your host may be in an expansive mood and offer you the run of the house, but it would be best for you to give more than the usual care to your surroundings. Otherwise you might carelessly damage something that has not only monetary but also sentimental value, which may result in your own embarrassment and in the injury of your host. And should you have a mishap, show your respect for the property of your host by having the moral courage to mention it and express your regrets. Do not leave your host to discover it after you leave. How about books you borrow from the public library? Do you take care of them or do you deface them by marking them up? 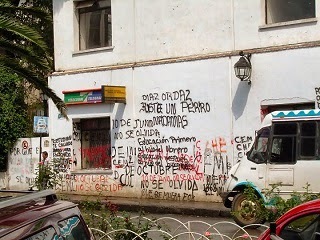 Many individuals would never dream of marking up a public wall yet they may find themselves defacing a library book by underlining words or making comments in the margins. 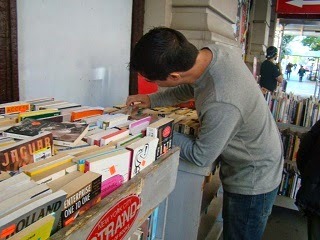 But ask yourself, what right do I have to mark up a book that does not belong to me? It is just as much an act of vandalism as is the practice of tearing out pages of library books. Such practices clearly show that we do not respect public property. Chances are that you faithfully return the library books you borrow because of the penalties imposed, but can it be said of the things you borrow from friends or neighbors? Are you one of those individuals that can find time to borrow something but can never find time to return it? Usually many people have good intentions to return items they borrow, but because they fail to do so as soon as they are through with them, they are forgotten. If the lender does not remind them, they may lie among their possessions so long that they imagine they are their own. If you respect another person’s property you will see to it that what you borrow is returned promptly. It should not be necessary for the owner to come and claim it. Forgetful borrowers are in a sense dishonest because they fail to keep their promise to return what they borrowed. So when you borrow something, do not put it away where it can be forgotten, leave it out in the open so that you will be reminded to take it back. Do not wait for a convenient opportunity to do so. Make special effort to return the borrowed item. In that way you will demonstrate that you have respect for property that is not yours. Hence, let us all endeavor not to misuse, damage or deface property that is not ours. 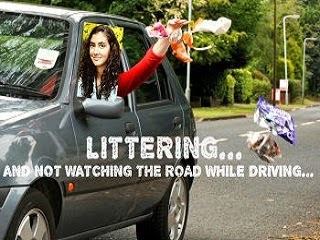 Avoid littering public property with trash and conscientiously return whatever we borrow. If all people live by these code of standards, then this world will become an ideal place to live in.